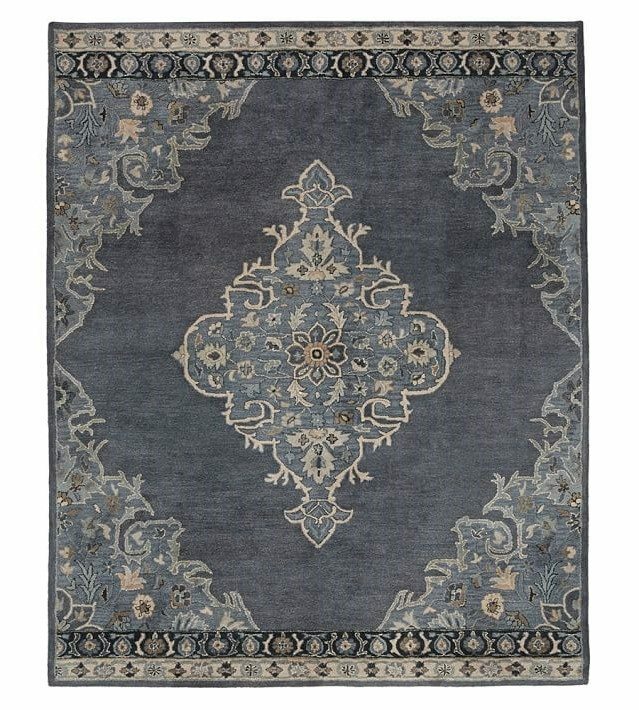 Selecting rugs for any room in your house doesn’t have to be a challenge. 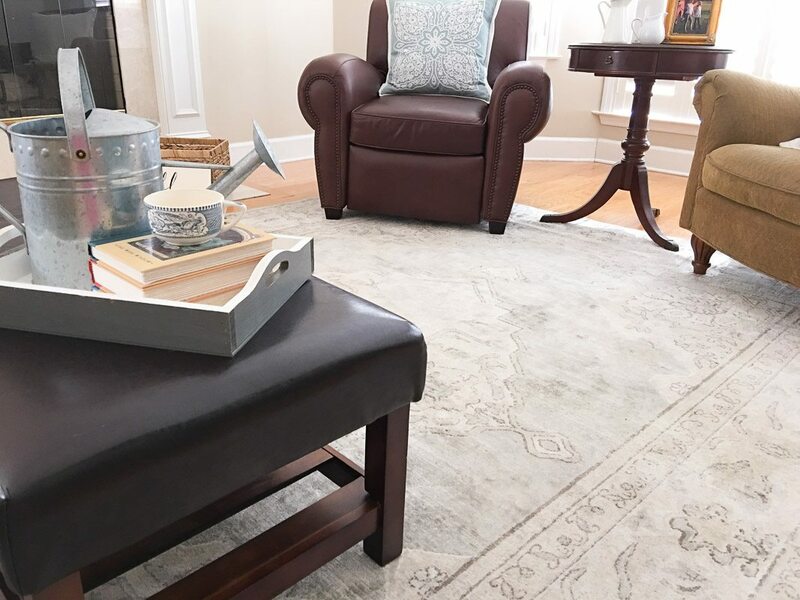 Here you will find simple tips on how to make that perfect rug selection and some of our favorites to guide you too. 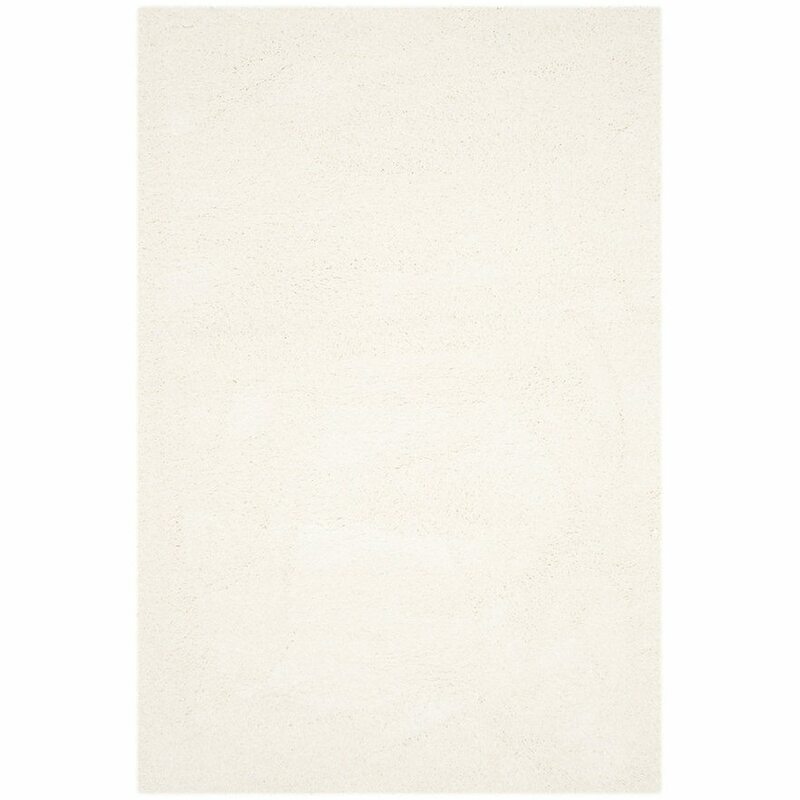 Selecting rugs can be fun and exciting. Remember when you were a child your parents would tell you that you were getting to do something, anything and you would get so excited! You didn’t have a fear of the unknown or even the fear of the known. Well, shopping for a rug should be that kind of fun. It should not be a dreaded chore. Many times people ask me where to begin when decorating a room. My number one advice always starts with your inspiration whether that is a piece of art, rug, or anything that inspires you. But my number two advice is to pick out your main pattern, and this is where all your colors will come from to decorate your space. 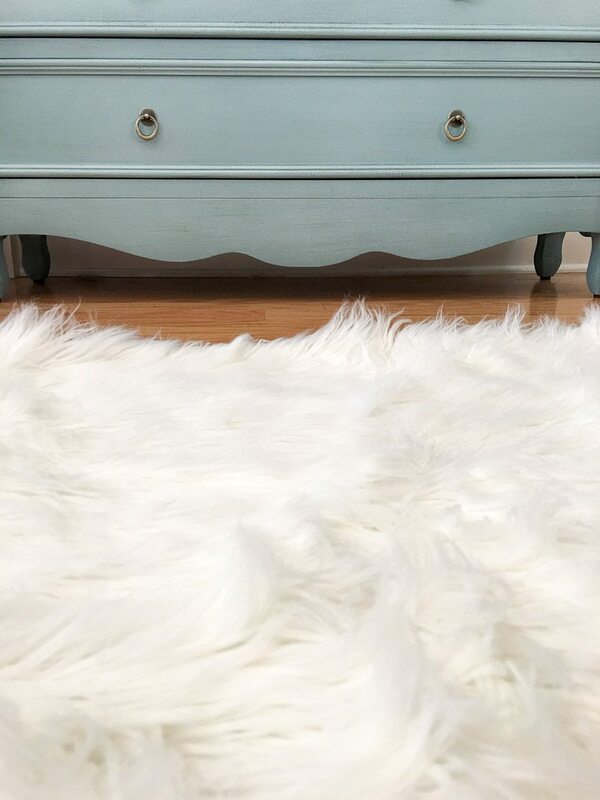 Here is an example of where we selected our rug as our inspiration for this room. This rug came from Homegoods. If you currently have art, furniture and more start with the most pattern in the room. Dissect the colors in the one piece that has the most pattern. Stand back and ask yourself what colors stand out the most. Then go with those colors when shopping for a rug. If you have lots of patterns, consider a solid rug but if your furniture is mostly solids then select a rug with those colors in it. Patterns work well with solid furniture pieces. However, in this case, we decided to show you the idea of going with different textures instead of designs like this white shag rug and blue dresser. But if you’re a lucky person who is starting from scratch then let me encourage you to think rug first. 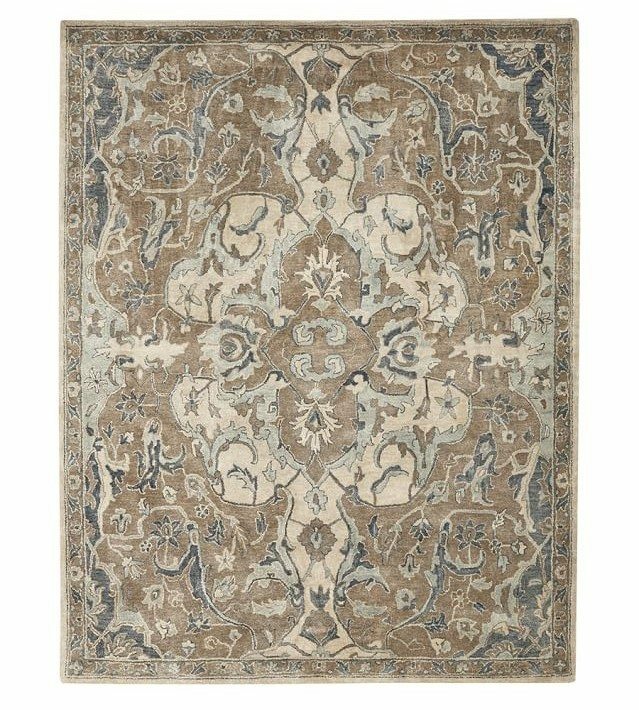 It is so much easier to select a patterned rug then match everything to those colors. If you love solid carpets and furniture, start with your art. A whole room designed around one piece of art can be very timeless and beautiful. The main thing is that picking solids is so much easier than pulling patterns. I always encourage people to select paint last. It is almost still the easiest to pick out. If you need help choosing a paint color click HERE. 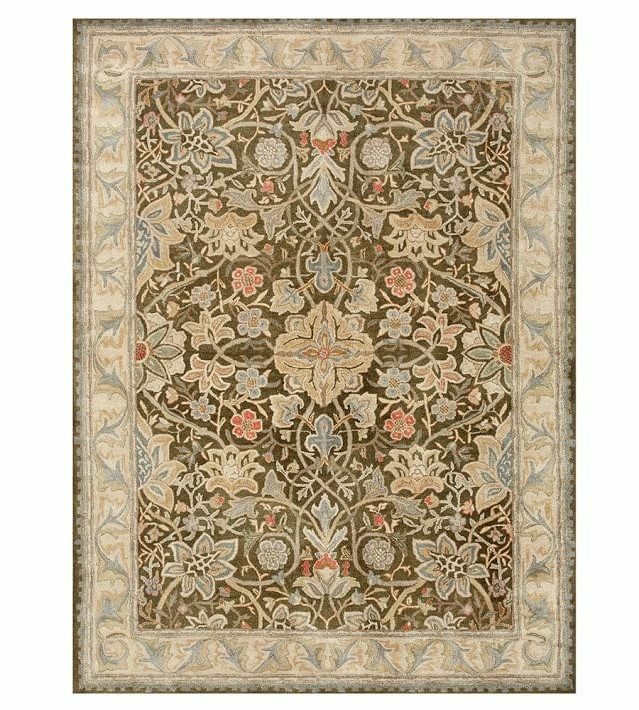 There are many different styles and colors of rugs in the world. Here are some popular ones that I particularly love to us to decorate. 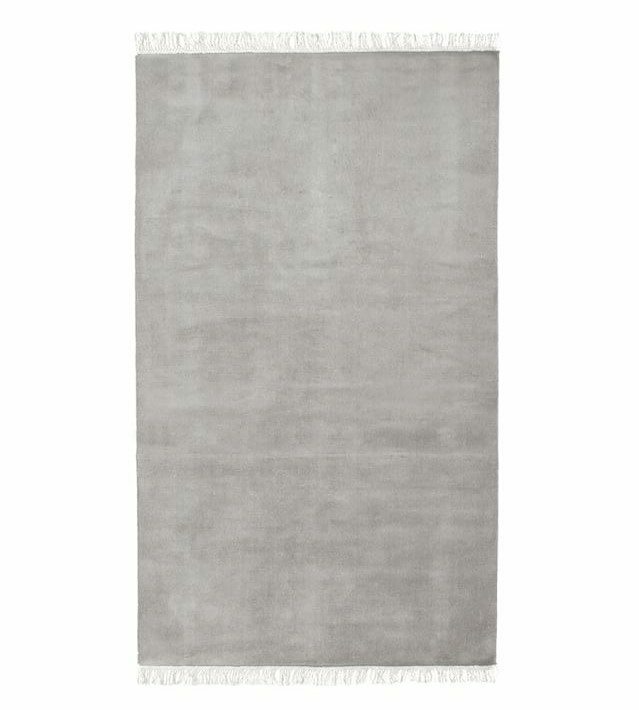 Click the image to get more information about each rug. 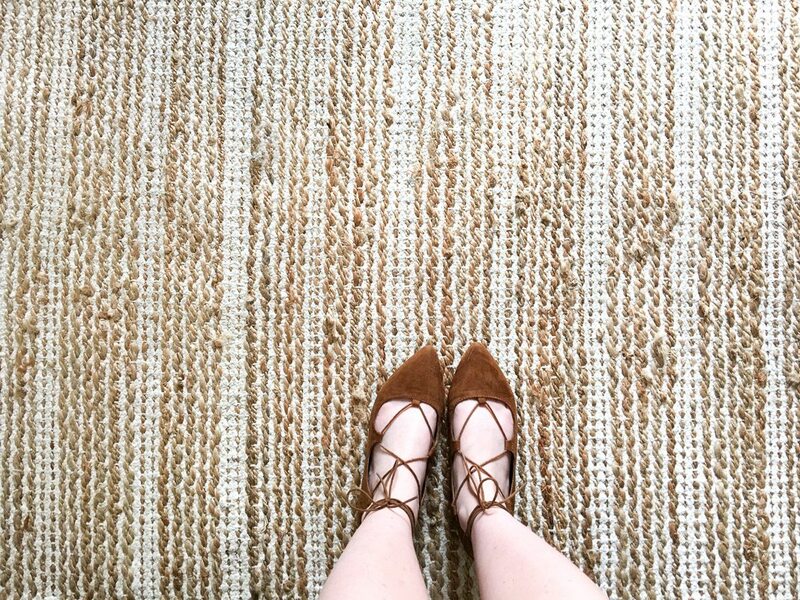 Solid rugs make great floor canvases to build from a design plan. 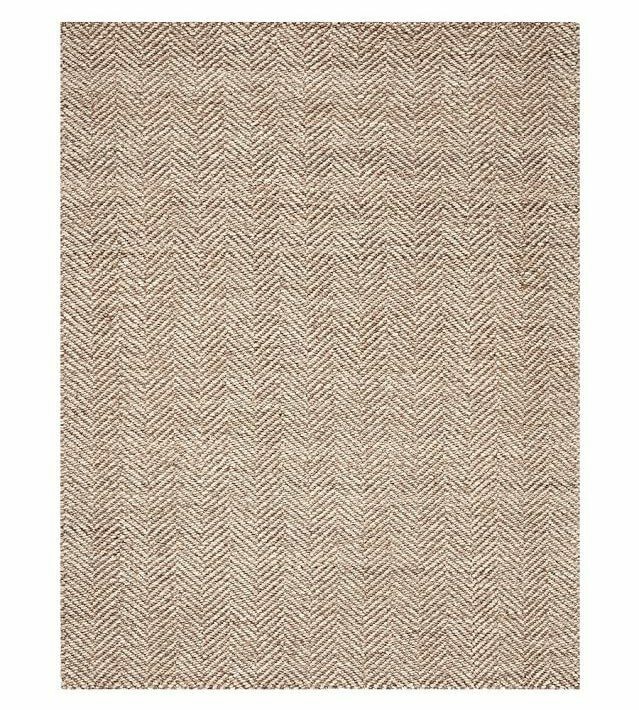 I love the texture of jute but it can be uncomfortable to sit on and difficult to clean, but there are other options that look like jute but are soft and cleanable. 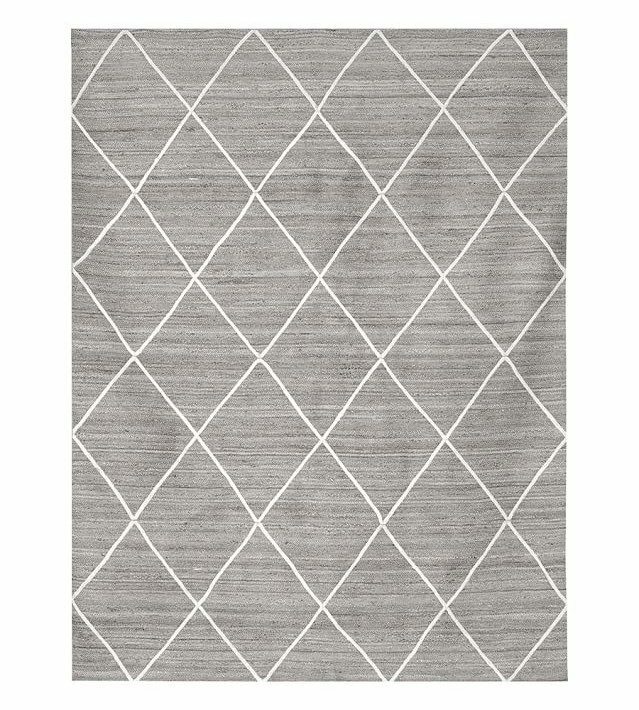 This rug is one of my favorites. It’s perfect whether you have lots of patterns or solid furniture. Here are some samples of what I am talking about. Oriental patterns give you lots of colors to begin decorating a room. 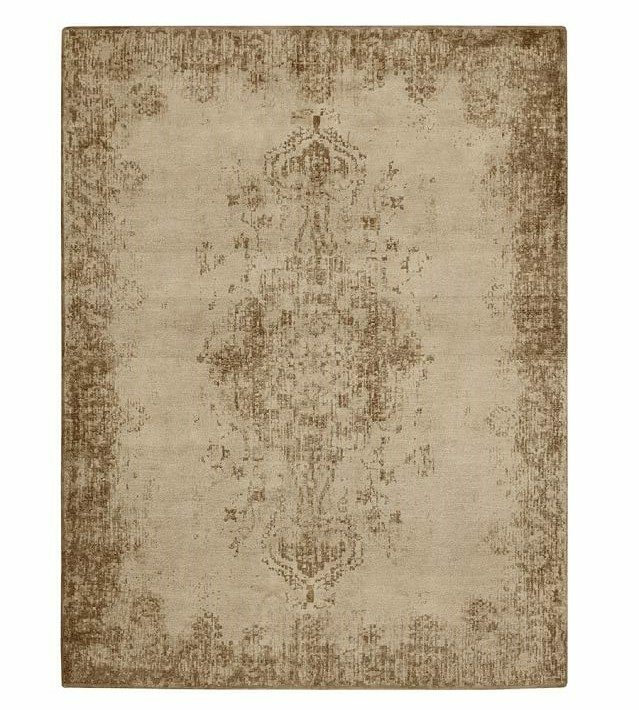 Light color schemes are popular right now and create a nice subtle background if you love the pattern but don’t want your rug to stand out as the number one piece in the room. Here are some popular options today. Now if you love colors then this is the rug for you. There are so many options when it comes to rugs and color. 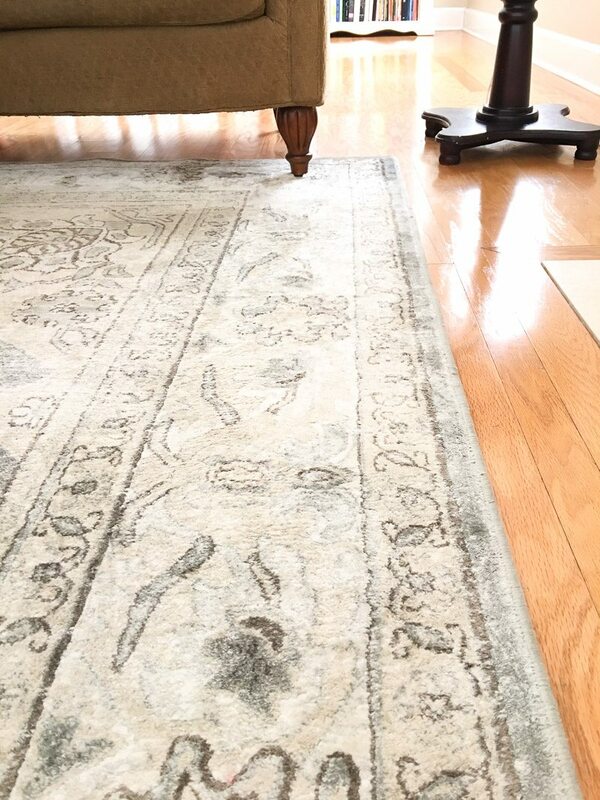 One of the greatest things about a dark oriental rug is how well it hides stains. I had a dark pattern rug for many years, and I never had to clean it. Now I have a light one, and t needs cleaning every six months. Here are some great options from to choose. I use the word geometric pattern because there are all kinds of geometric patterns out there in the world but the most popular ones are these styles listed below. If you’re looking for a casual and dressy look, then a geometric might be just the ticket. Check out these ideas below to begin your search. If you live in a small town rug shopping can be even more challenging. You see so many options online and love them, but you don’t dare purchase one for fear of not liking it and having to return that enormous thing. Well here is a trick. Pick out the ones you like and order the smallest size to proof. Then it is easy to return, and the cost is low. Also, some companies will send you samples for free, and you don’t have to replace them. I’m not sure exactly what that swatch will look like because I have never ordered a sample before. But I think it’s a brilliant idea. And last look at the return policy. There are companies who even pay the return fee. I think that is a win-win for a rug shopper. 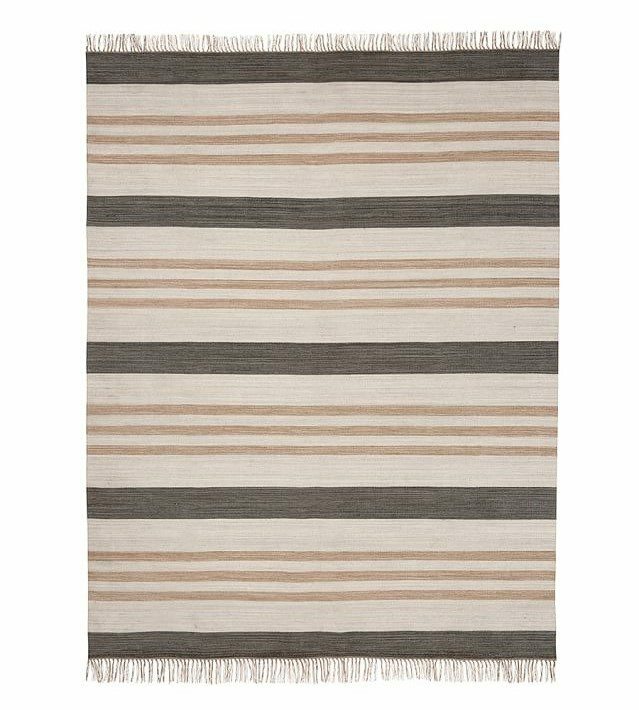 Selecting the perfect rug can be challenging and intimidating. But it doesn’t have to be that way. It can be fun, easy and an enjoyable experience. In fact finding the right rug can be exciting. 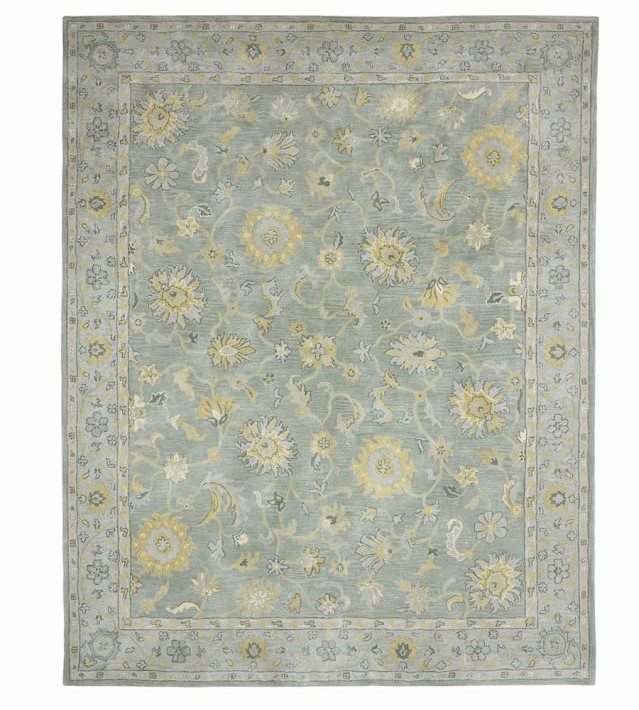 I hope this helps you discover the perfect plan for shopping for the perfect rug. 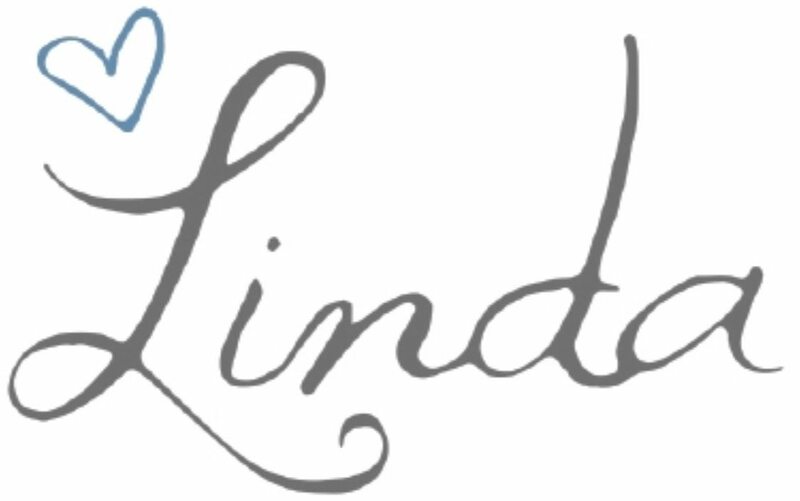 Where do you like to shop for rugs? Excellent advice. 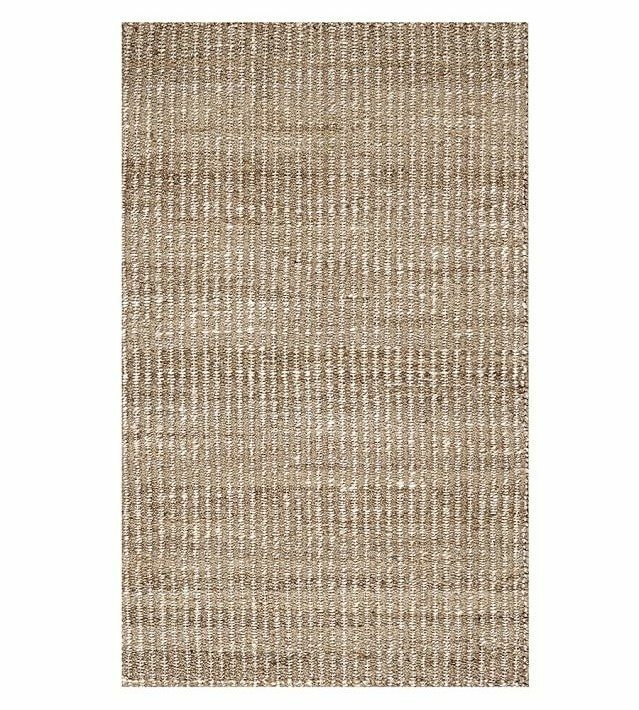 I live in an old house with nearly all wood floors, so rugs are a big deal for me. I love that third one in your “dark pattern” category. 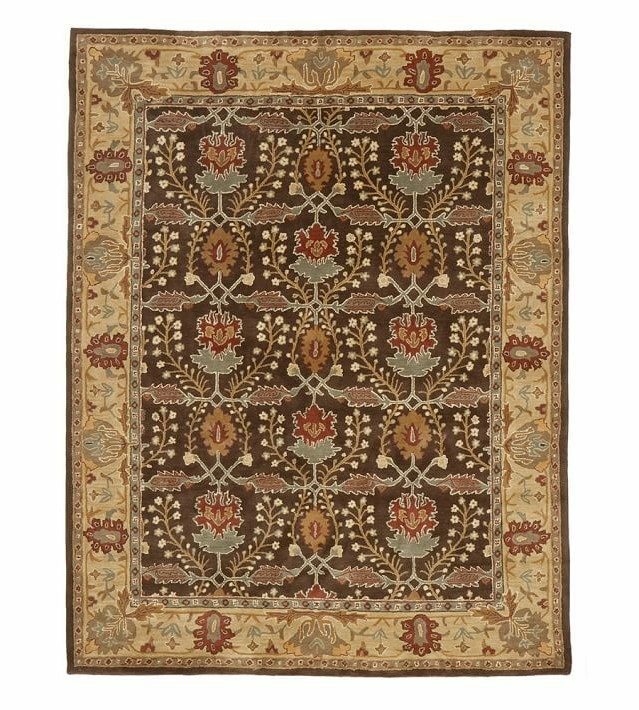 I’ve ordered many rugs from Overstock (though their checkout process has gotten funky, so haven’t in a while). Thanks for sharing! Good to “meet” you from the midlife group. That’s such an interesting article on picking out a rug. I will remember tyour tips the next chance I get to decorate.